If you have anything of interest to contribute, please use the 'Report a Sighting' or 'Contact Us' Link to the left. Please visit our FORUM which lists THOUSANDS of interesting Topics / Posts pertaining to all facets of Yowie Research and Crytozoology issues. This board is open to all, so feel free to drop in and contribute to the conversations. You will be required to REGISTER and be approved prior to contributing to the board. FOUND SOMETHING IMPORTANT TO CONTRIBUTE TO OUR DATA BASE THAT WE ARE MISSING? LET US KNOW. 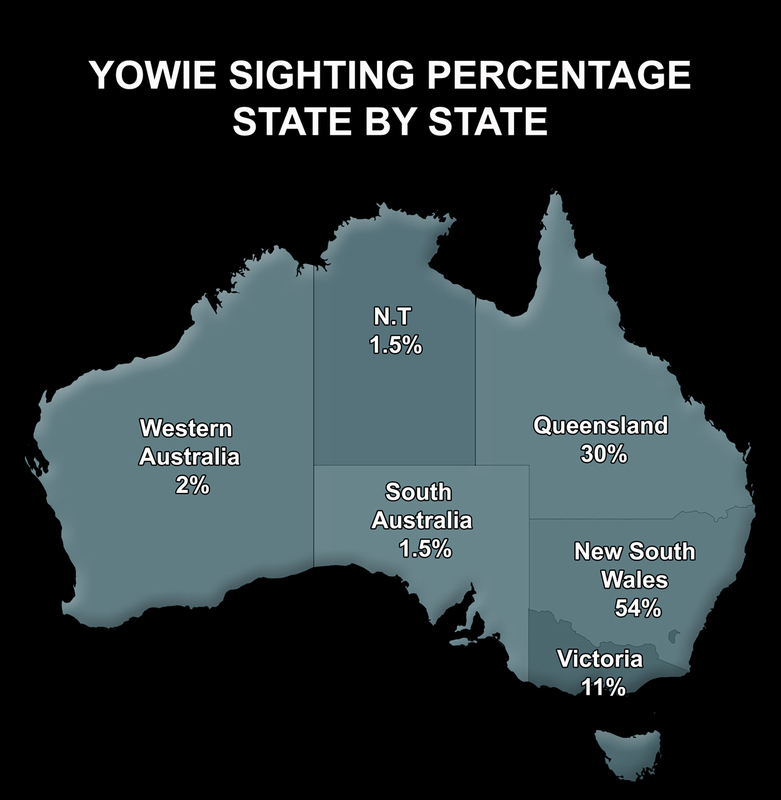 The Australian Yowie Research is the FIRST Website on the Internet dedicated to the Research of the Yowie and are also the LARGEST and most well known Research Organization in the World on all subjects Yowie related. Many years of hard work and Research has contributed to the large following of the A.Y.R. The A.Y.R. are also known as "The YowieHunters" , however we prefer to be known simply as "AYR" due to the fact that we wish no harm to the Creature and do not wish to instill a predictable interpretation of the word "Hunter". The A.Y.R. are linked to all Major Researchers in this field around the Globe, keeping up to date with the latest findings concerning all the new Bigfoot and Yowie evidence as it happens. A.Y.R. own some of the latest and most modern surveillance equipment in Australia. There are NO definites about what the Yowie actually is, other than a 'Hairy Man/Ape' that resides in the deep of our and the World's forests. 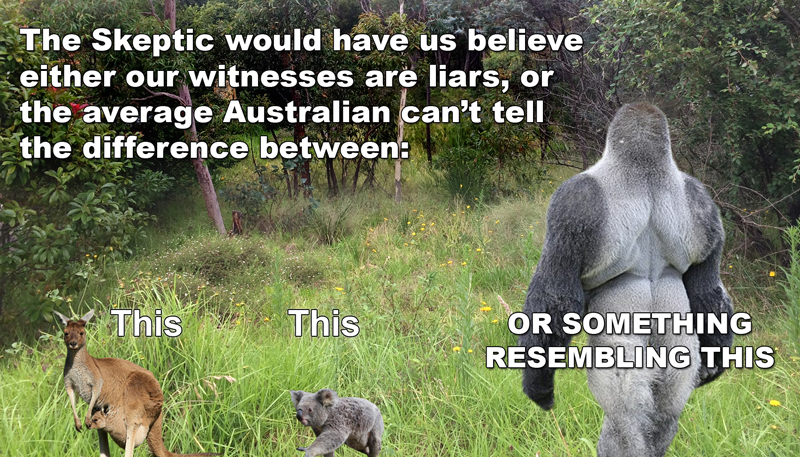 Hypothesis is abundant in this field of Research, as too is conjecture and debate regarding what the Yowie is. It could perhaps be the last surviving Gigantopithecus or maybe a Species of Austrlopithecine - may also be neither. Whatever the Yowie may be, there is far too much evidence to support that the Yowie DOES exist, rather than it does not. Many of the World's academics are now coming forward after being shown various evidence and claiming that there is certainly something out there that is not formally recognized by Science. The Witness reports cannot be ignored. Just how many credible witnesses viewing this Animal at close range will it take for people to understand that the Yowie is far more than imagination? The reader must also keep in mind that many of these witnesses were not alone at the time of their sightings. There has been up to 20 Witnesses during the same encounter! Some of our best witnesses of the Yowie WERE IN FACT Skeptics prior to their encounter! There have been thousands of Yowie reports in this Country since Colonialism during the 1700's, all describing the exact same Creature. These encounters are not only visual, but also audible. Again the reports over the years tell of deep guttural growling and grunting far beyond the vocal capacity of a human. Reports from the late 1700's are the same description as the current reports today. How could this be? Considering that 300 years ago E-mail, Fax and Phone were not available for these witnesses to collaborate, to create an elaborate fictitious story? People on both sides of the Country were encountering the same Beast at the same time, much the same as today. The 'fear of ridicule' factor is slowly diminishing and more people are now coming forward, where in the past they were reluctant. The A.Y.R. have been instrumental in this major shift in the communities thinking and the acceptance of the possibility that there IS something lurking deep in our forest regions. The A.Y.R. holds a vast amount of files on the Yowie from the 1700's to this current day. This Website is constantly changing, upgrading and uploading - so stay tuned for further updates. We would like to thank the many contributors to the A.Y.R. Website and the encouragement and support of our fellow Researchers.